Sometimes I can't tell how much of my affection for cats is genuine and how much is the toxoplasmosis talking, but in the end it doesn't matter: I love their silly faces. That's probably why I've fallen for Nekoatsume, an adorable Japanese smartphone game whose name translates as "collecting cats." 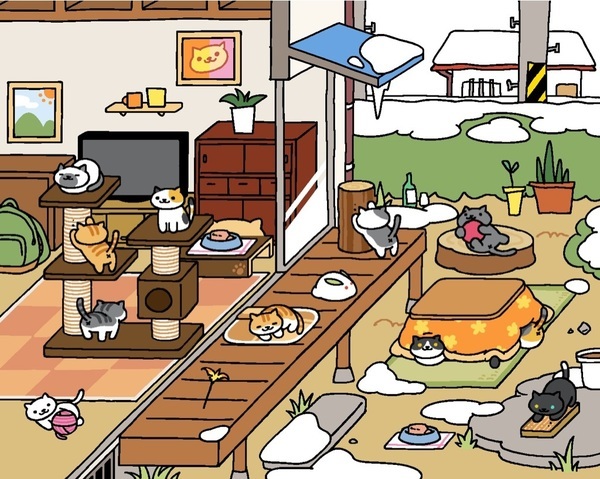 In truth, you don't actually collect the cats so much as you attract them to your virtual garden, by putting out both food and toys like yarn, boxes, plastic bags, heaters and cat towers. You can, however, take pictures of them as they romp around, and cherish those photos forever. The currency of Nekoatsume is gold and silver fish; you start out with a certain amount, receive some from grateful kitties, or can purchase more of them within the game. Better items can attract different and rarer cats, but the key to luring them into your garden is closing the app. Much like real-life cats, these virtual nekos aren't particularly interested in doing what you want on command, and it's only when you leave them alone that they're likely to wander into your garden. It's the sort of game you check in on occasionally, not one that requires hours of focused attention. Nekoatsume is currently available for iOS and Android, but only in Japanese. The game is intuitive enough that you should be able to muddle through even if you can't read the text, however. 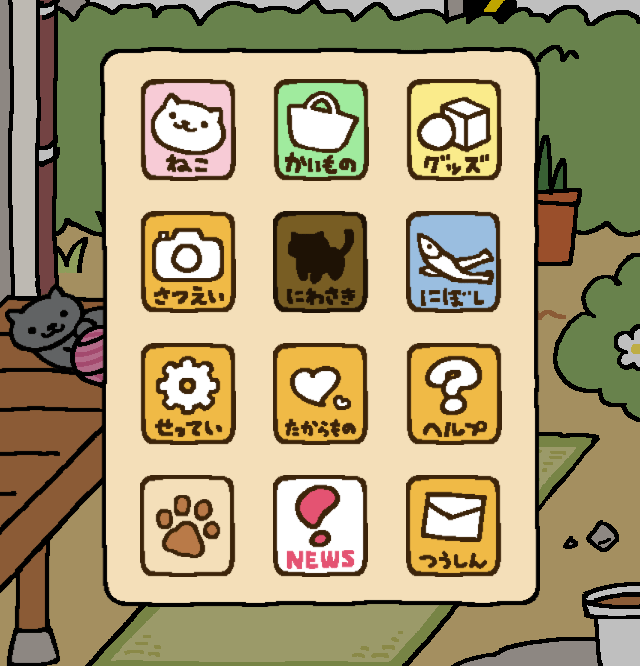 If you open the menu using the paw print in the upper left corner, the first five icons allow you to look at the album of cats you've "collected," shop for items, examine and use the items you own, take pictures of cats, and return to the garden, respectively. If you want to get a little more strategic and advanced—you can tap "NEWS" and then the top button twice for extra fish, for example—you can check out a tutorial with more information here.